The key to a stunning garden landscape always lies within a thorough and effective garden design plan. When finding a company to offer you garden design services, you should make sure that they talk you through the process of how they are going to design the perfect garden for you. If not, then how do you know they are going to create a masterpiece? They could merely plant a few plants and say job done. This article will enlighten you to the standard processed followed by most companies in order to give you an idea of how the garden design planning process should take place so that you can ensure that you have the perfect garden to complement your home. The first thing any good landscaping company needs to do is understand your wants. They should have a thorough consultation with you whereby they gain a full understanding of your requirements and your vision. First and foremost, they should uncover your budget and then they will be able to tell you whether it is realistic or not for the work that you want doing. After this, they should gain as much information as possible about the vision you have for your garden. They will find out what structures you want to incorporate, whether you want to go for a modern or conventional feel, and what colours you want to utilise throughout. You should also discuss whether you want features like a pond so that the company can price up pond liners and filters. The only way a company can fulfil all of your expectations is by soaking up as much knowledge about you as feasible. Once they have done this they will begin to put a few ideas together. They will draw up plans for you to look at too. It is important to make sure the landscapers consult you with their ideas along the way so that you can say yes or no to the suggestions they have. After all, they shouldn’t go ahead with plans without seeking your opinion as this would be a recipe for disaster. The company will come up with their ideas based on several considerations. Obviously, beauty will be one of the main ones. When investing in a garden design you want to ensure your outside area experiences a revitalisation. It needs fresh impetus and energy. Not only is beauty an important incorporation, but landscapers also need to consider practically too. This is an important point that tends to be overlooked when people do their garden on their own. 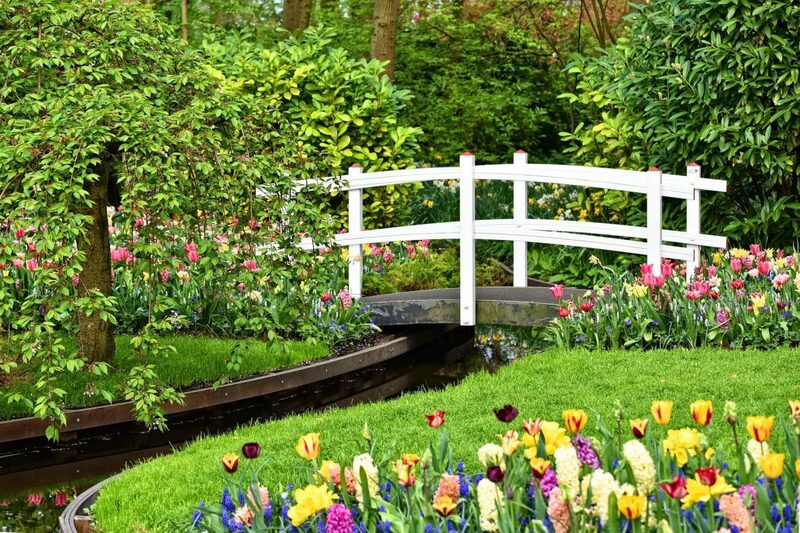 After all, you need to ensure that your garden is easy to manoeuvre around and enjoy time in. Not only this but most people will want plants and furniture that is easy to maintain and care for. Aside from this, the company will consider the unique features of your garden, such as the size and the shape of it. For example, if you have a small garden then the landscapers will come up with different ways to make it appear bigger than it is. Once everything has been agreed on, final plans will be drawn up before the green light for landscaping is given. Remember if you don’t like something then it is always better to say it during the design process. After all, a piece of paper with pencil drawn on it is a lot easier to fix than an entire garden structure.